Maybe you enjoy sketching as a hobby, but you’re not so crazy about the work that goes into colouring in your work, or you’re just lacking in the talent department when it comes to that side of the digital art equation. Check out this tool based on Chainer, a flexible neural network framework that can support a number of different uses. The so-called PaintsChainer project can take your basic line art, created using whatever drawing program you happen to use, in a number of ordinary file formats, including JPG, PNG, GIF or even TIFF, and then automatically apply color, in a dreamy watercolor/colored pencil style that’s a pretty popular style among digital artists. Left to its own devices, the tool comes up with interesting color choices. 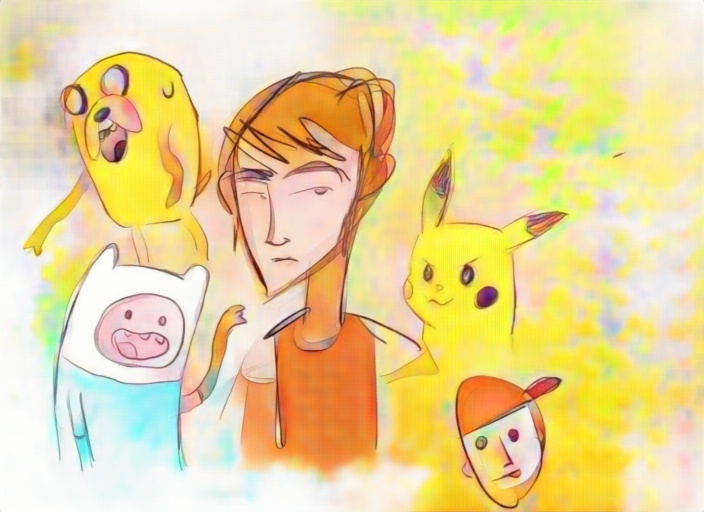 If you want, you can just let the tool decide itself what colors to use and where to apply them, but you can also use an in-browser toolbar to give the system hints, as I did with the example with more accurate colors on the Adventure Time crew and Pikachu below. It’s still far, far simpler than trying to color the line art in yourself, and the more guidance you supply, the better the results. It’s still amazing what this system can do on its own without any input, and even more so what it can do with just a few hints by way of guidance. There’s a lot more examples, with better original line art (like the one below), available to view on Twitter if you check out the #PaintsChainer hashtag.